Hello all and belated Happy New Year! I’m kicking off this year’s bloggings with a little post about my must have Brand. If you follow me on Social Media you will already know which Brand I am going to mention…if you don’t follow me then you may well be in for a little surprise. Ok, so they’re cheap. Are the products any good though? Oh yes! Ok, so who are they? Makeup Revolution. 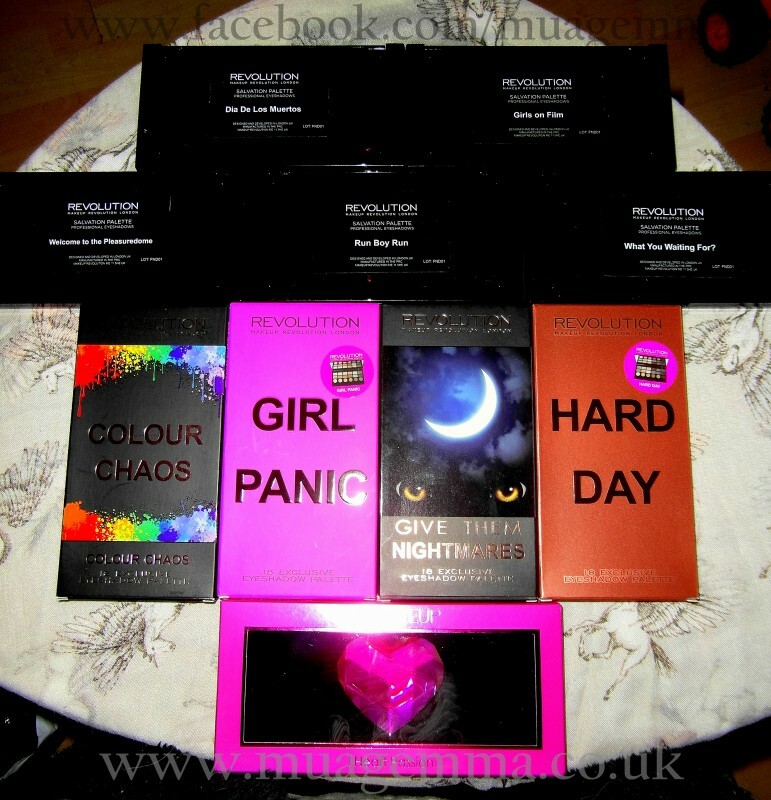 Makeup Revolution is a relatively new Brand, having only launched back in March 2014, but in the 10 months that they have been up and running they have, literally, started a revolution and taken the makeup world by storm. When the brand first launched in March, they started off with around 240 products which, in itself, is an impressive starting point. Makeup Revolution proved to be a hit in the beauty world and, in the 10 months of trading they have gone from strength to strength. Unlike a lot of other Makeup Companies who release a few new products every couple of months or so, Makeup Revolution are releasing products continuously. There doesn’t seem to be a month that passes without another new product being promoted on their Social Media. To give you an idea of how many new products they have released; as previously stated they launched with around 240 products and they now have well over 500 products on offer. 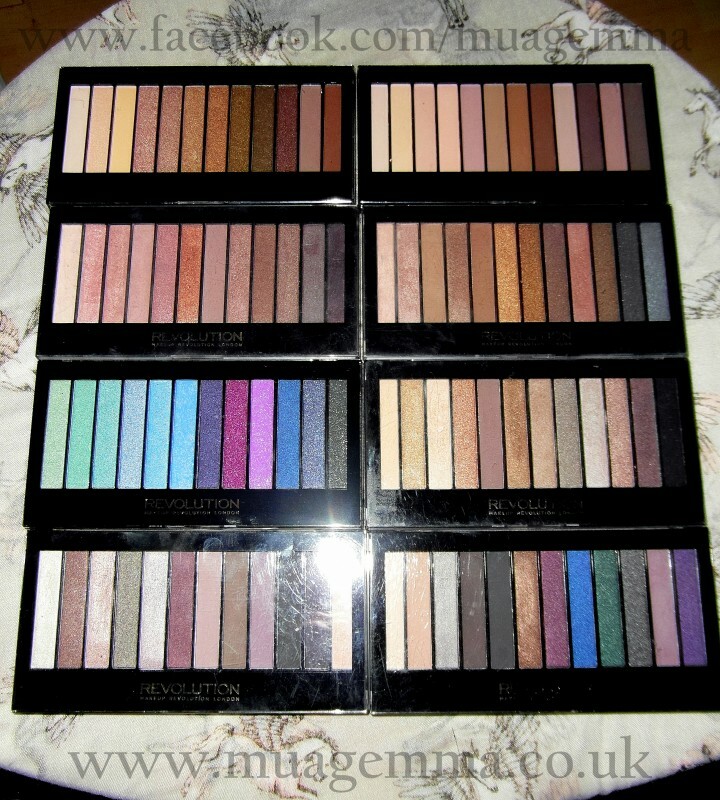 Makeup Revolution’s prices start at just £1 and go up to around the £10 mark. It would be very easy to assume that, at such an affordable price, the quality of the products wouldn’t be that good and that you really would get what you pay for. The majority of the products are packed in what looks to be high-end packaging and the quality of the products is amazing and far surpasses a lot of other High Street Brands and, indeed, some high-end Brands too. Face Products: Primers, Foundations, Concealers, Powders, Blushers, etc. 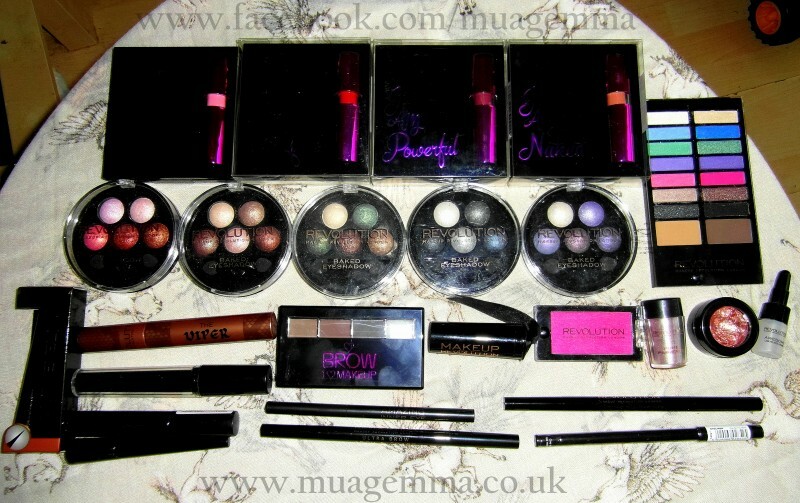 Eye Products: Mascaras, Eyeliners, Solo Eyeshadows, Palettes, Foils, etc. Lip Products: Lipsticks, Glosses, Matte Lacquers, Colour encased in Argan Oil, etc. There are SO many products to choose from, and each of the products listed above have different variations to choose from. For example, their blushers come in powder form, cream, liquid, stick and baked, as well as palettes. 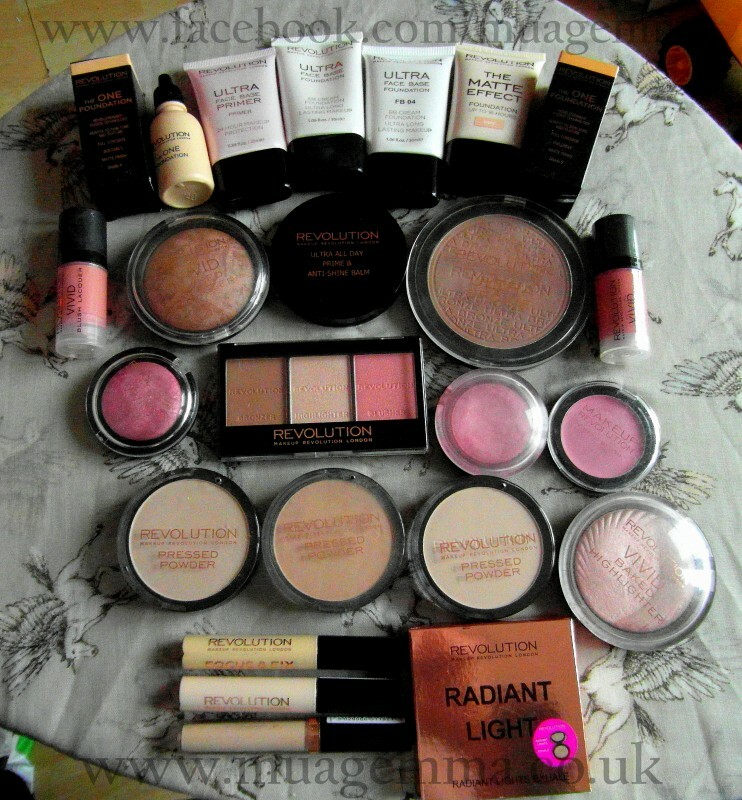 Makeup Revolution is my go to Brand on a day to day and professional basis. A lot of my Clients ask me what products I would recommend and Makeup Revolution is always first on the list as, a lot of the time, they want something that is affordable as well as good quality and Makeup Revolution delivers every time. They also have a Skincare Range and Brush Care range (which will be blogged about when I do my weekly skincare routine blog). 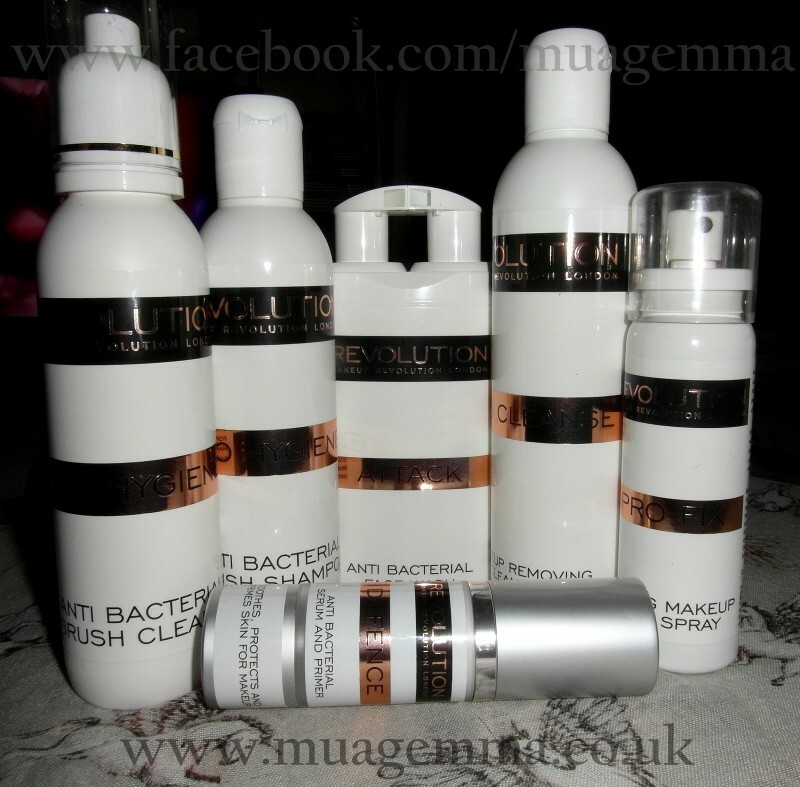 My collection of products is growing all the time, with big orders being placed several times a year, as well as picking up the odd piece or 2 from Superdrug to replenish items that I have used. With over 300 items having been released in the 10 months since their launch, I really am SO excited to see just what 2015 has in store for this fantastic brand. All in all, Makeup Revolution (and I Heart Makeup) really are leaders in their field by offering not only a huge, ever growing range of products, but also quality and affordability. If you haven’t already joined the revolution, make 2015 the year that you do!